Heathpark Lodge is a charming Victorian family home dating from the 1840s with many original features having been carefully preserved. All rooms are on ground level and therefore most suitable for people who do not want stairs. The house is a Victorian lodge dating from the 1840s and has been carefully restored and extended in recent years. It sits surrounded by well cared for gardens and ample car parking space. Garage facilities may be available if necessary. We seek to provide a friendly and informal atmosphere and hope to provide a relaxing visit for you. All rooms are on ground level and therefore most suitable for people who do not want stairs. One twin and one double room (both ensuite) are offered and both rooms are decorated with muted colours and premium fabrics. Rooms are equipped with hairdryer, clock/alarm, radio and various other items. A beverage tray, including a selection of fruit or herb teas, is provided in one of the lounges along with TV, DVD and a video library. There is also a coal fire for chillier mornings and evenings. As well as this lounge there is the sitooterie (garden lounge) which offers peace and tranquillity while you watch the many species of birds that visit the garden (plus a pair of red squirrels) or just relax in the quiet atmosphere. Bird books and binoculars are provided. Free Wifi is throughout the house and we also provide the use of a Toshiba laptop exclusively for our guests. Packed lunches can be provided by prior arrangement and the use of picnic equipment is available upon request. 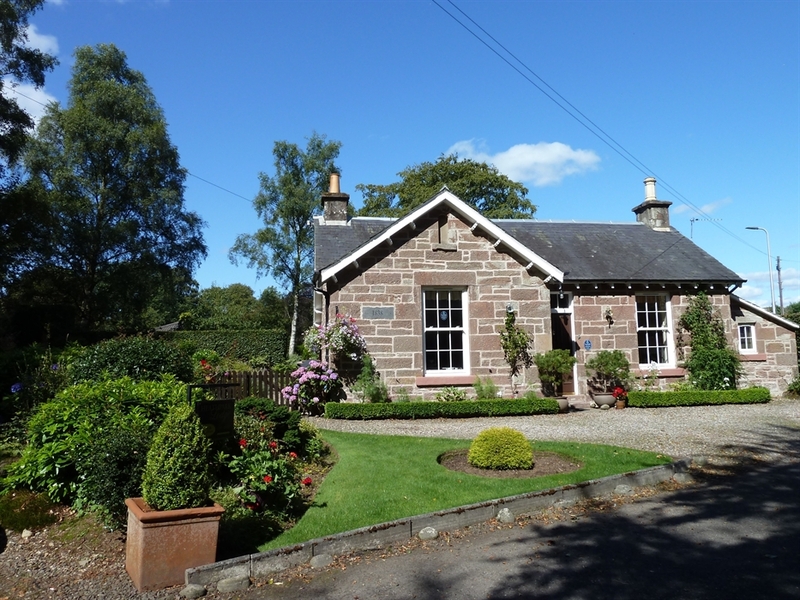 Blairgowrie is an excellent centre for the golfer, angler, walker and tourist. Within a few minutes drive are 4 excellent golf courses, one being the famous Rosemount Golf Club and the rivers Ericht, Tay and Isla hold intrigue for anglers. The Loch of the Lowes is home to ospreys and the Grampian mountains are just a few miles northwards. Blairgowrie is the largest town in east Perthshire and offers an excellent range of shops and services. This area has something for everyone regardless of the time of year and is easily accessible from Edinburgh, Glasgow and Aberdeen.